The following is the schedule for 300 hour programme workshops for 2018. / 2018. Workshops are a part of 300 hour Spanda Vinyasa teacher training course, but are OPEN to all yoga teachers and yoga students interested to deepen their knowledge in any of the subjects. All workshops can be attended individually and are mandatory only for students enrolled in the 300 hour programme with our school. Chakra Vinyasa is a five-part teacher training module covering Integral Vinyasa flows which stimulate energy wheels known as Chakras and goes deep into the psychology of the chakras. In this module Nina combines her psychotherapy training to connect subtle, mental and emotional body connects to our physical body as well as our life. In the practical part you will learn how to go deeper into the physical and sequence more advanced asana in a safe, progressive way. You will learn a new Namaskar for each chakra, asanas and more creative approach to sequencing asana, as well as pranayama, mudras and mantras which stimulate specific energy centres. In order to leave enough time for the embodiment and understanding of new techniques, we will work with one chakra a month, connecting the higher chakras (5,6 & 7) in one part. In this first part of the module we will explore the root chakra and its qualities, explore Namaskars, sequences and asanas which invite stability in any circumstance (like in standing balances, arm balances and inversions like headstand and handstand). In the second part of Chakra Vinyasa module, we will dive deep into the knowledge and awareness of the subtle energies of Svadisthana Chakra. The sequences of this Chakra governed by the element of water, are very fluid so, in this module we will learn about fluid sequencing, pulsations in asanas and Mandala Vinyasa sequencing as well as tap into the fluidity and flexibility of our bodies and minds. Nina combines her psychotherapy training to connect subtle, mental and emotional body connects to our physical body as well as our life. In the practical part you will learn how to go deeper into the physical and sequence more advanced asana requiring strength of body/mind in a safe, progressive way. You will learn a new Namaskar for Manipura chakra, asanas and more creative approach to sequencing, as well as advanced pranayamas. Exploration of the psychology of Anahata chakra and how it relates to our emotional life. We will learn how to tune within, find trigger points and ways to release them using yogic tools like asana, pranayama, mantra, mudra, visualisation etc. Expect diving deep into spinal extensions and learning how to progressively sequence them to support a gentle unfolding. 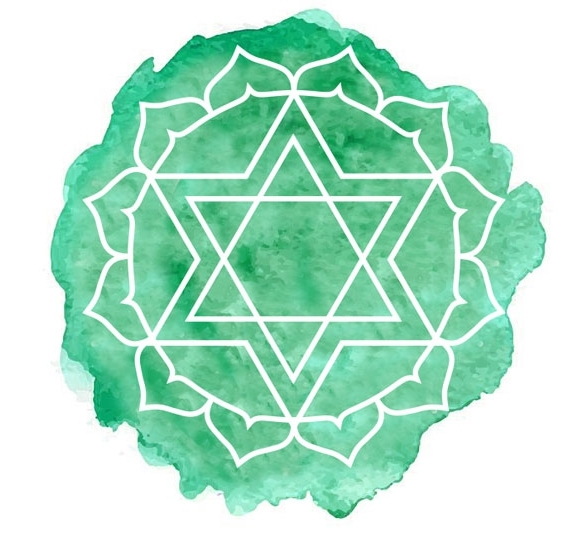 In the last part of the Chakra Vinyasa module we will be exploring the more subtle energy centres, or our higher chakras, and how they connect with our conscious and unconscious mind, our ideas, dreams, visions and creativity. To stimulate and tap into the subtle qualities of Vishuddha, Ajna and, ultimately, Swadisthana chakra which is our gate to higher consciousness, we need to explore further than Namaskars and asana, further than the physical. The higher chakras are usually called spiritual chakras, so in this last part of this beautiful module, we will be exploring different practices, from creative expression through movement, voice and creative expression, to deeper exploration of the inner, more spiritual world using visualisation and meditation. This workshop will be divided into three parts for three Chakras, each part consisting of three hours of lecture and exploration (practice).